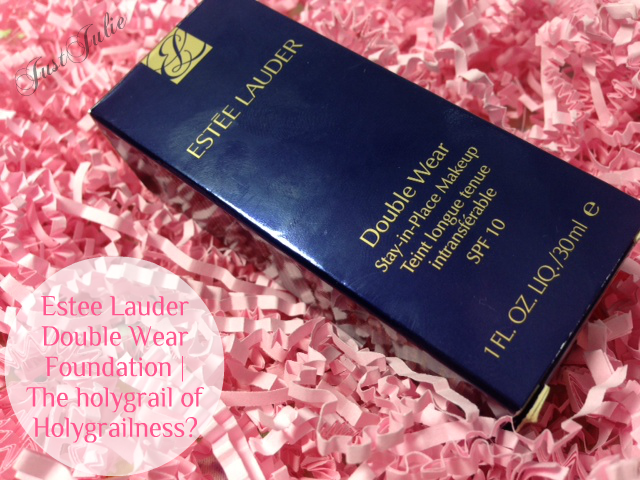 Estée Lauder Double Wear Foundation | The holygrail of Holygrailness? There must have already been a ton of reviews on Estée Lauder Double Wear Foundation BUT this is a foundation I've been wearing for around ten years so I thought I'd share my thoughts on the world famous foundation. The foundation claims to stay in place for 15 hours, be transfer free, matify the skin and keep your skin looking flawless. Pretty bold statement really, a statement a lot of foundations actually make. 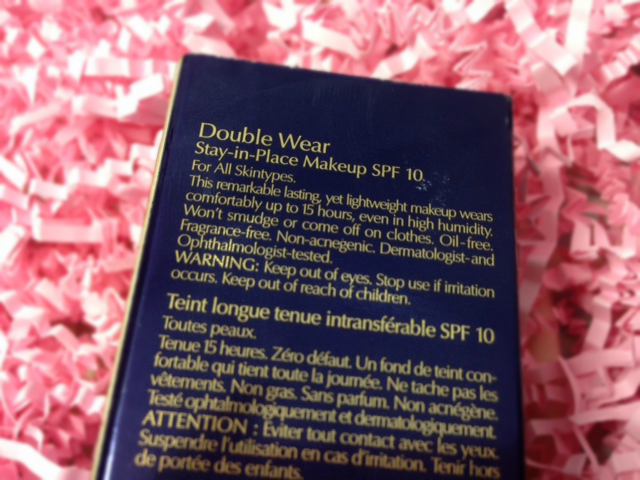 The foundation is oil free and also offers a SPF 10, to help protect your skin from those nasty sun rays. If you have seen any of my makeup posts you will see that 9 times out of 10 I'm wearing Estée Lauder Double Wear Foundation and for the past ten years this had been my holy grail of foundations, I'd go as far as to say that this along with my ghds and iPhone are the three things that I simply couldn't live with out, which is a pretty bold statement to make! My skin is oily, although dehydrated. I don't have bad skin but I do have uneven redness on my cheeks that I hate, which I need to have fully covered up. On a working day my makeup base is on for around 12 hours, sometimes longer if I've gone out straight from work. So I need a foundation that is going to give me medium to full coverage and not going to budge all day. Most foundations tend to start to disappear after around 6 hours on me, whereas with Estée Lauder Double Wear Foundation, my makeup is still looking as if it's just been applied 6 hours in. 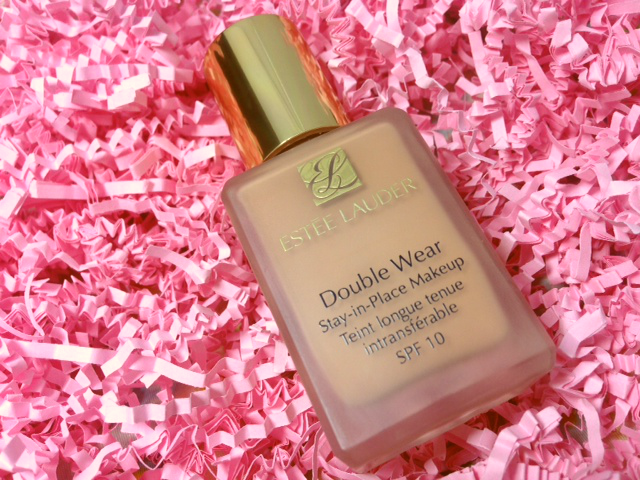 Estée Lauder Double Wear Foundation comes in a liquid format inside a 30ml glass bottle. Now I know a lot of people moan about it not coming with a pump and that people tend to waste product. I've never had any desire to have a pump with this. I always have cotton buds at hand, they're essential to my makeup, so I always use a cotton bud to get the foundation out of the bottle. I then place the foundation directly onto my face and then blend it in. I never waste product doing it this way as I know exactly how much I need. 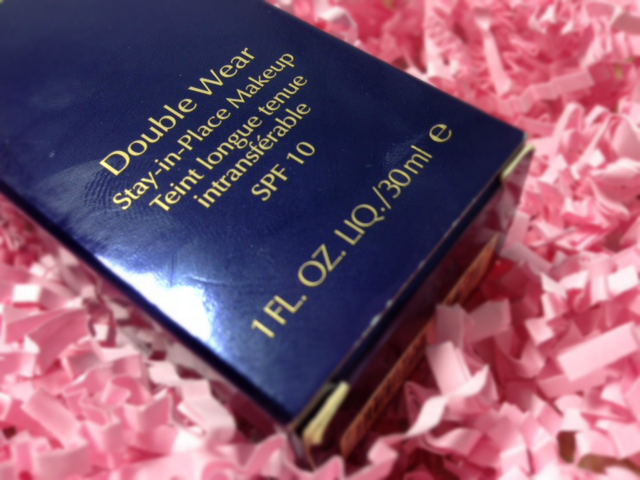 A little goes a LOOOOOONG way in delivering a flawless finish to your skin. It's super easy to blend in (as long as you don't apply too much) and you can also build the foundation up to a fuller coverage if need be, which I tend to only do on a night out. One thing to take note is that you don't want to be applying another layer once this is fully dry as it will just go patchy because once this is dry, it's set fully to your skin, so if you want to apply another layer then work fast. I know some people can feel like this is a little cakey and heavy for their skin but I don't, maybe because I've used this for too many years that my skin is just used to how it feels! I have other foundations in my collection that I do like but none of them are in the same league as this. This gives me everything I want and need in a foundation and I have lost count of how many bottles I have bought over the past 10 years. I've seen this jump from under £20 to just under £30 over the years so I dread to think how much money this bottle of awesomeness has cost me over the years! ha! So if you have you're looking for a foundation that will give you a flawless finish and last all day then go and get yourself colour matched ASAP, I promise you will not regret it! Of course if you suffer with dry skin then this won't be the foundation to go for but for anyone with normal to oily skin then Estée Lauder Double Wear Foundation is a must have!